2016 has been a strong year for Firaxis. First, the studio released XCOM 2 for PC, then ported the game over to PlayStation 4 and Xbox One. 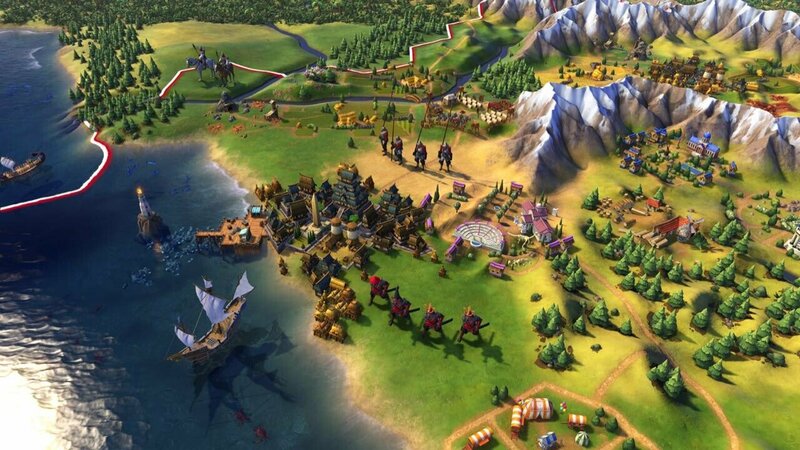 Now, the Civilization series returns to Steam with its latest rendition: Civilization VI. With the game already out as of Oct 21st, reviews are coming in. So how did the game perform? Quite well, actually. GameSpot’s Scott Butterworth loved the new title. He called it “the deepest, most well-rounded base game the series has ever seen,” noting that victory conditions from military to science have all been enhanced with more interesting gameplay mechanics. However, he felt the enemy AI system “proved to be a mix,” suggesting Catherine Medici was a much more clever ruler than Cleopatra. Not that these concerns affected him much. “Any frustrations I experienced were immediately eclipsed by my desire to continue playing. Just one more turn, every turn, forever,” he wrote. USGamer’s reviewer Mike Williams clocked in a nine hour marathon on his first playthrough. Williams enjoyed the district building system, especially pinpointing how city placement is the driving factor behind how a city operates and what resources it creates. He also praised the new tech system, which is separated between a Technology tree and a Civics one. And while he did find the Cultural victory to be “obtuse,” he recognized this wasn’t a particularly new problem for the series. “Firaxis has crafted solid ground to build upon, marking what I feel is the best vanilla version in the franchise’s history,” he said. Overall, Civilization VI has been praised as an excellent addition to the Civilization series, expanding on the game’s strengths and fixing up a few of its flaws. Is it perfect? Of course not. But it still provides hours of entertainment, enough to keep reviewers aching for more playtime.